Wooden Tap Handle. Gift for Men or Craft Beer Home Brewers. Decor for the Home Bar or Man Cave. 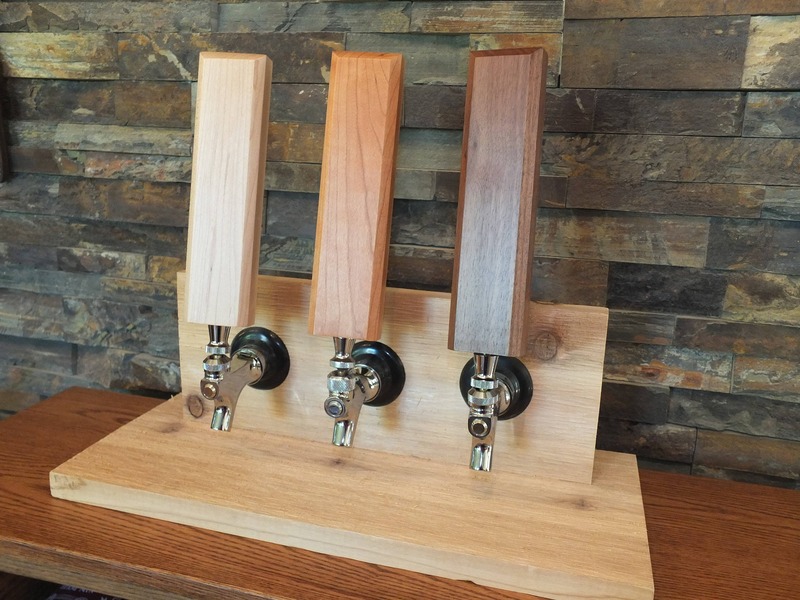 Wooden tap handles available in walnut (dark), cherry (medium), or maple (light) wood. 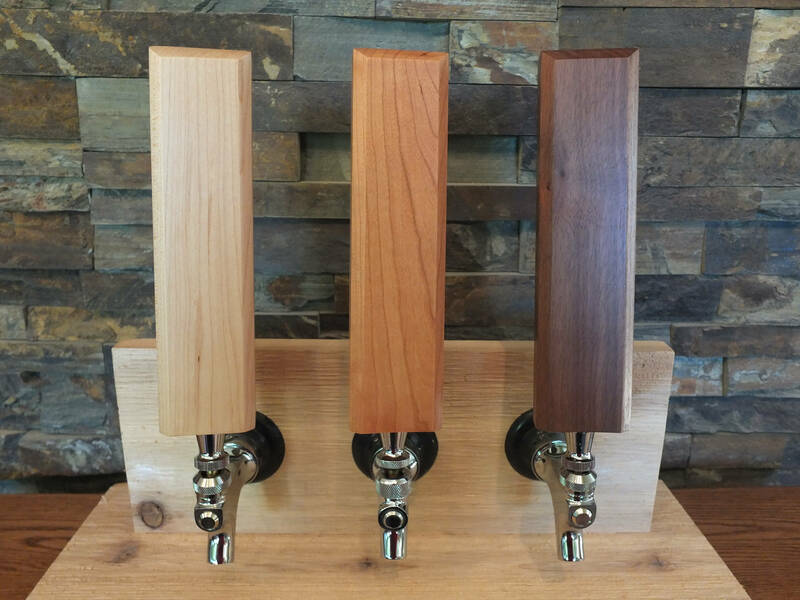 These beautiful tap handles are sanded to perfection then finished with a furniture quality conversion varnish. The brass insert fits any standard faucet. Send me your request, we can make taps handles customized to your specification. Wood colors vary within each species; if you want to order multiple handles that match as much as possible, we suggest ordering all at the same time. Size: 2" x 1 1/8" x 8"